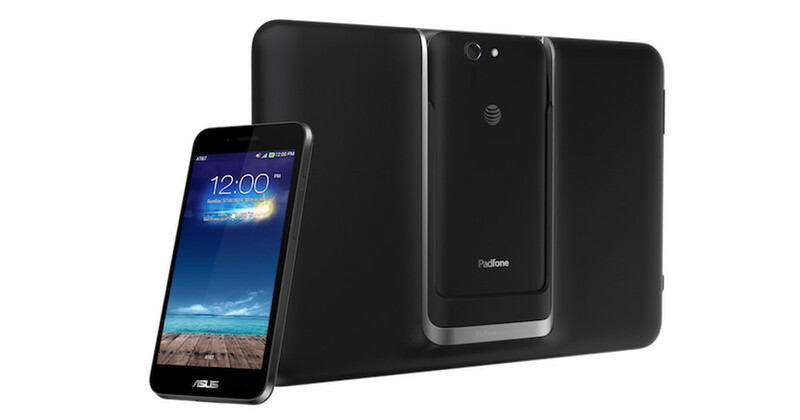 AT&T and Asus gave the Padfone X a release date today, only about six months after it was first introduced to the world. Originally announced back at CES in January, the Padfone X has been teased and mentioned by AT&T for weeks, but only now do we know how much it will cost and when it can be bought. June 6 is the day. For $199 on 2-year contract or as low as $22.92 per month with AT&T Next. For those new to the Padfone X, you are looking at a phone that docks into a tablet shell, allowing it to be both phone and tablet. The phone phone portion of the duo brings you a 5-inch Full HD (1080p) display, 13MP PixelMaster camera, 2.3GHz Snapdragon 800 processor, 16GB of on-board storage, micro SD slot for more, wireless charging, and Android 4.4. The tablet portion brings you a 9-inch Full HD display with front-facing speakers that are powered by the phone once docked. Keep in mind that the tablet has its own battery as well, so when you dock your phone, the tablet shell actually charges it. After all these months, are you interested?